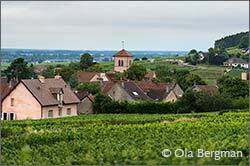 los de la Justice in Gevrey-Chambertin is a monopole owned by Pierre Bourée Fils, the domaine/négociant based in the same village. It is village appellation Gevrey-Chambertin, but there was a time when this wine was sold as Clos de la Justice, with no mention of the village name. – That was how it was sold up until 1936 or 1937, when the INAO said it was not comparable to Clos de Vougeot, explains Louis Vallet. It is something else, they said, so it was necessary to add Gevrey-Chambertin on the label. 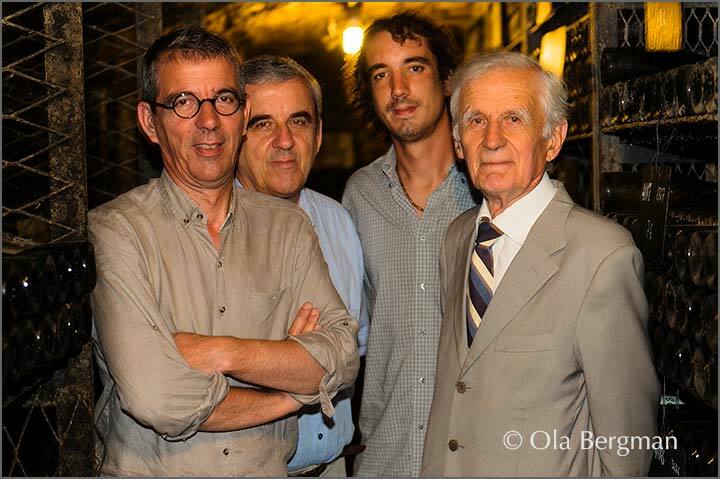 Louis Vallet is the third generation at Pierre Bourée Fils. 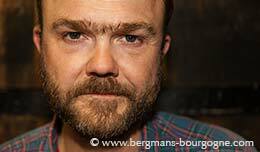 It was his great-uncle, Pierre Bourée, who started it all back in 1864. Then in 1945 his son, Bernard Bourée, began training a young Louis Vallet so he would be able to take on the domaine later on. 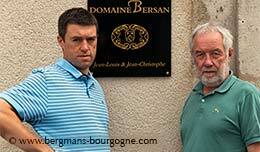 For this interview three Vallet generations have gathered at the restaurant the family runs in Gevrey-Chambertin. It’s Louis Vallet, his two sons Jean-Christophe and Bernard, and Bernard’s son, who is also named Louis. – Around 1900 it was a lot smaller than it is today, says Bernard Vallet. It was basically Clos de la Justice and Charmes-Chambertin. Over the last 25 years we have grown a lot. But the last few it has become very difficult to buy vineyards because of the high prices. 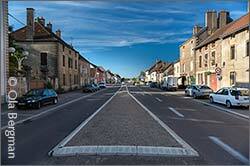 Clos de la Justice is on your right side when you drive north through Gevrey-Chambertin on the Beaune-Dijon road. The big sign on top of the gate still bears Bernard Bourée’s name. Clos de la Justice is the western part of La Justice. The surface area is two hectares. – My great-uncle bought Clos de la Justice in 1901, continues Louis Vallet. At the time it was not planted at all. 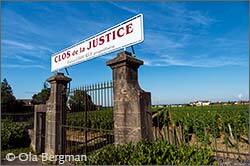 So he planted the two hectares and since it was surrounded by walls he decided to call it Clos de la Justice. – These two hectares can produce a maximum of 12 000 bottles, but they never do because the soil is poor, adds Jean-Christophe Vallet. It’s not particularly deep and it’s very stony. – The walls evens out the temperature; during the day they absorb a bit of the heat, which they then release overnight, says Bernard Vallet. One third of the production at Pierre Bourée Fils comes from their own vineyards, the rest from bought in grapes. There is an exception when it comes to the grand crus, where the quantities are small and it’s important to have one full barrel. In those cases they buy must. – 20 years ago we used to buy wine, says Bernard Vallet. Now we buy grapes because we want to have control over the quality. 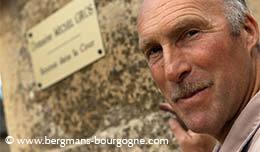 – We buy from the same growers every year, says Louis Vallet the younger. They are people who have tended these vineyards for many years. This means they can offer more or less the same wines every year. There is only one label, so there is no way of telling whether the wine has been bought in as grapes or if it comes from their own vineyards. – The process, for the reds, is quite simple, explains Louis Vallet the younger. We spend a lot of time with the sorting table before the grapes go directly into the vats, open oak vats. We don’t use a de-stemmer and we don’t use pumps. 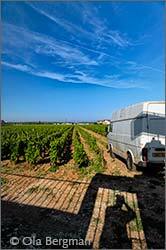 – With whole bunches it takes a long time for the fermentation to start, usually five or six days, says Bernard Vallet. We don’t use any cooling. Piegage, punch-down, is done manually with our feet. Only natural yeast. Sometimes we do a bit of pumping-over. We keep most of the lees; try to put a lot into the barrels. We keep the wines in barrel for 18 to 20 months depending on the appellation. Louis Vallet the younger explains that their aim is to keep the signature of each vintage. He feels that too often people try to correct to many things in the wines. – We think the bunches should be kept whole, he continues. The stems will help you regulate the fermentation. They will bring a lot of oxygen, a lot of space into the tanks. It’s much easier to work that way. On the other hand, whole bunches might result in a little less alcohol and colour. A few years ago I think we were the only ones doing whole bunches in Gevrey-Chambertin. Today many are returning. – Yes, says Bernard Vallet, it’s a particular style. The stems absorb some of the colour. People are slowly moving back from a more modern style to this traditional style. But they are not going all the way. 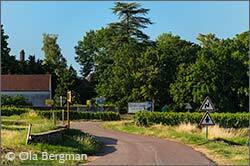 The cellars of Pierre Bourée Fils are in Gevrey-Chambertin, just next to the Dijon road, while the main winery is in Chambolle-Musigny. 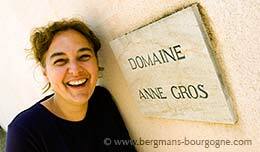 They produce a total of some 60 different wines, only from the Côte d’Or, from Marsannay up north to Santenay down south. Pierre Bourée Fils are among the few growers to still have some pinot beurot. That’s Burgundian speak for pinot gris. 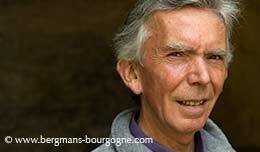 Louis Vallet believes there’s only a total of five hectares of pinot beurot left in Burgundy. – We are allowed to replace old vines, says Bernard Vallet. But we are not allowed to increase our plantings of pinot beurot. The pinot beurot used to go into the Bourgogne blanc together with the chardonnay. But since 2012 it’s being bottled separately. Annual production is limited, only 400 to 500 bottles. – It has a very smoky character, says Bernard Vallet. There is no new oak. We only use barrels which have been used for three or four wines. 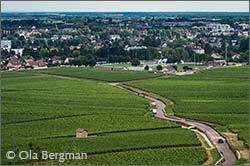 The pinot beurot vines are inside a plot of regional appellation we have in Couchey.